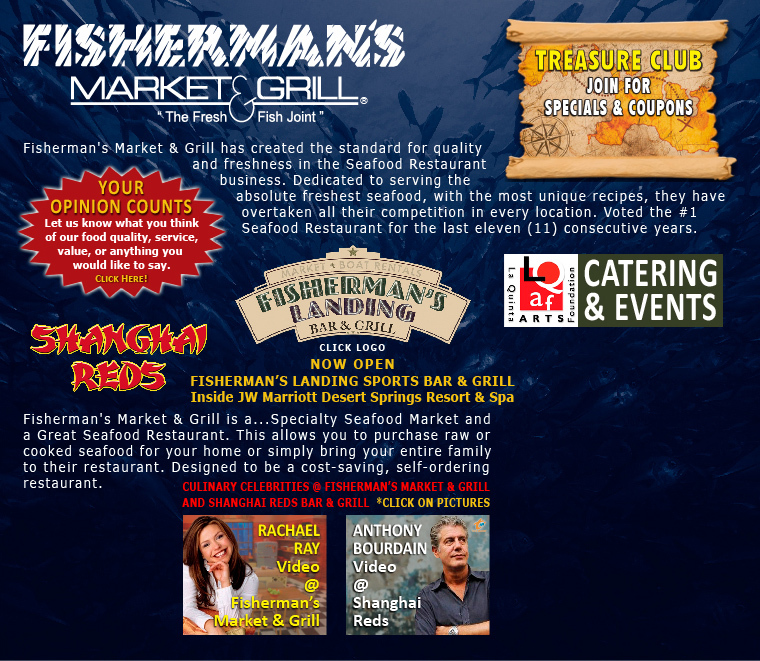 Fisherman's Market & Grill Seafood Restaurant has created the standard for quality and freshness in the seafood restaurant business. Dedicated to serving the absolute freshest seafood, with the most unique recipes, they have overtaken all their competition in every location they open. Voted the #1 seafood restaurant in their markets, they maintain the highest standards that simply can't be beat. Louis Pagano and his late partner Bill Mortz with a love for fishing and a passion to share their catch with good friends...came to Palm Springs with a vision to provide the finest quality seafood at an affordable price. 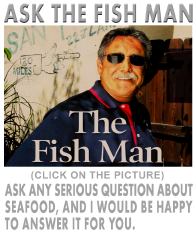 Louis Pagano, who grew up on his father's fishing boat in San Pedro, told us," There is no secret how to provide the finest tasting seafood in all the world, SIMPLY PURCHASE THE FINEST QUALITY...ALL THE TIME!" Like anything in life, it is easier said than done! It takes a lifetime to develop the capability to recognize quality seafood, which is why Fisherman's Market & Grill Seafood Restaurant, directed by the experience of Louis Pagano, is such a great success. Fisherman's Market & Grill Seafood Restaurant is a...Specialty Seafood Market and a Great Seafood Restaurant. This allows you to purchase raw or cooked seafood for your home or simply bring your entire family to their restaurant. Designed to be a cost-saving, self-ordering restaurant.